Sculptor, goldsmith and architect Lorenzo Ghiberti died on this day in 1455 in Florence. Part of his legacy were the magnificent doors he created for the Baptistery of the Florence Duomo that have become known as the Gates of Paradise. Ghiberti had become a man of learning, living up to the image of the early 15th century artist as a student of antiquity, who was investigative, ambitious and highly creative. His Commentaries - I Commentarii - which he started to write in 1447, include judgements on the great contemporary and 14th century masters as well as his scientific theories on optics and anatomy, revealing the scope of his artistic and practical experimentation. Ghiberti was born in 1378 in Pelago near Florence and was trained as a goldsmith by Bartolo di Michele, whom his mother had married in 1406 but had lived with for some time previously. Ghiberti took his name from his mother’s first husband, Cione Ghiberti, although he later claimed that Di Michele was his real father. He moved to Pesaro in 1400 to fulfil a painting commission from the city's ruler, Sigismondo Malatesta, but returned to Florence when he heard about a competition that had been set up to find someone to make a pair of bronze doors for the Baptistery of the cathedral. 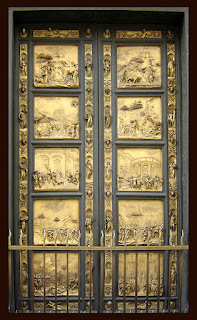 Ghiberti’s design won and the contract was signed for him to produce the doors in Di Michele’s workshop. He began the project in 1407 and it would take him until 1424 to complete. He actually created two sets of doors; the first, for the Baptistery, depicted scenes from the New Testament, the second, with ten square panels and deemed to be superior to the first, scenes from the Old Testament. It was Michelangelo who suggested they were of such quality they would be worthy of being chosen as the Gates of Paradise. The painter and art historian Giorgio Vasari declared then to be “undeniably perfect in every way”. 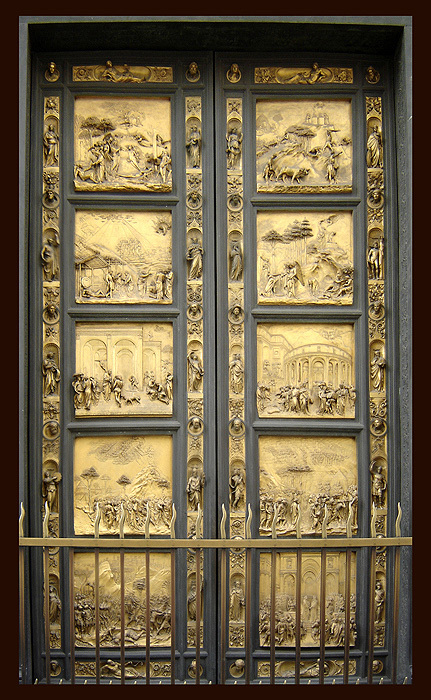 Although, it was the doors that established Ghiberti’s reputation he took other commissions, including gilded bronze statues of St John the Baptist for niches of the Orsanmichele church in Florence and the Arte di Calimala (Wool Merchants' Guild) and one of St. Matthew for the Arte di Cambio (Bankers' Guild). He also produced a bronze figure of St. Stephen for the Arte della Lana (Wool Manufacturers' Guild). He also wrote what is considered to be the first autobiography of an artist, which formed part of I Commentarii. I Commentarii has come to be regarded as one of the most important sources of information about the Renaissance and the art of the period. 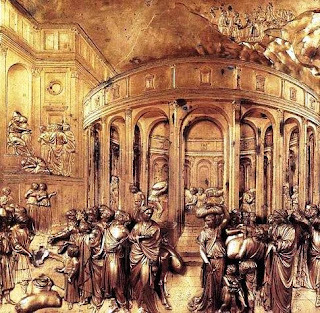 Ghiberti was an influential figure in many ways. Among the artists who worked in his studios as they were making their way in the world included Donatello, Masolino di Panichale, Michelozzo di Bartolomeo Michelozzi, Paolo Uccello, and Antonio Pollaiuolo. He married Marsilia, the 16-year-old daughter of Bartolomeo di Luca, a wool carder. They had two sons – Tommaso, who was born in 1417, and Vittorio born the following year – who both joined Ghiberti in his business, Vittorio taking over the workshop after his father’s death. 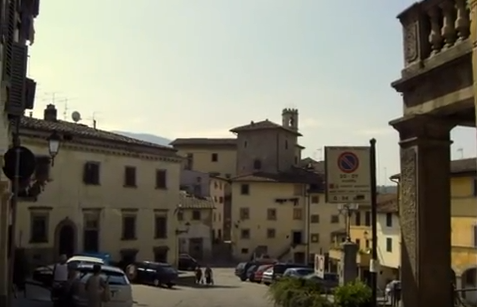 Pelago, a small town in Tuscany about 20km (12 miles) east of Florence, was developed by the Etruscans on the site of a settlement thought to date back to the Paleolithic period. It grew around a castle built in the 11th century in an area rich in castles, usually built on the top of a hill. At the foot of Pelago Castle is a marketplace and a number of palaces once owned by wealthy noblemen. The church of San Clemente, which originates in the 12th century and now contains a museum, can be found within the castle walls. 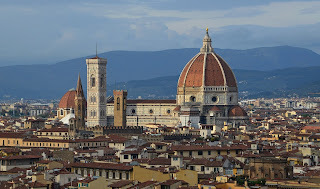 The Florence Duomo - the Cattedrale di Santa Maria del Fiore - with its enormous dome by Filippo Brunelleschi and campanile by Giotto, is one of Italy's most recognisable and most photographed sights, towering above the city and the dominant feature of almost every cityscape. From groundbreaking to consecration, the project took 140 years to complete and involved a series of architects. Arnolfo di Cambio, who also designed the church of Santa Croce and the Palazzo Vecchio was the original architect engaged and it was to his template, essentially, that the others worked. When he died in 1410, 14 years after the first stone was laid, he was succeeded by Giotto, who himself died in 1337, after which his assistant Andrea Pisano took up the project. 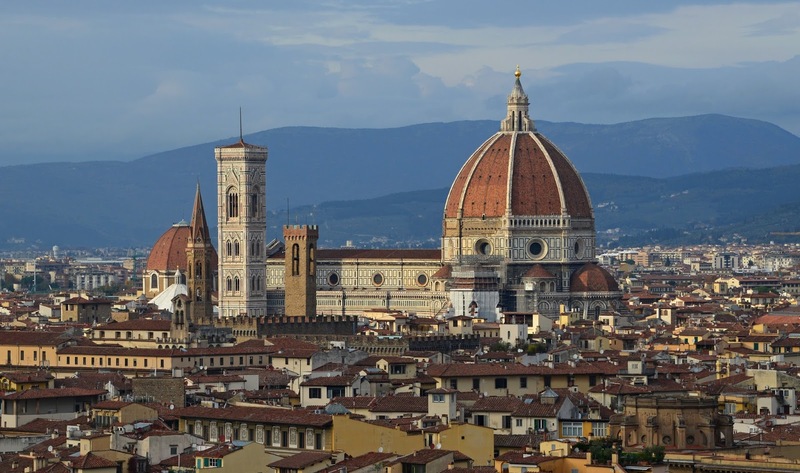 Pisano died in 1348, as the Black Death swept Europe, and a succession of architects followed, culminating in Brunelleschi, who won a competition - against Ghiberti, as it happens - to build the dome, which remains the largest brick-built dome ever constructed.